At Shimoda, we build products with the goal of improving and supporting a photographer’s workflow. Saving time and energy is a big deal for us, and our Accessory Cases employ the same approach. High-quality and lightweight materials ensure a long life of use, while adding minimal weight to your overall pack load. Externally, you can quickly see what is inside via its large translucent TPU window. Internally, it has three compartments to further organise cables, batteries, keys, remotes and computer items. 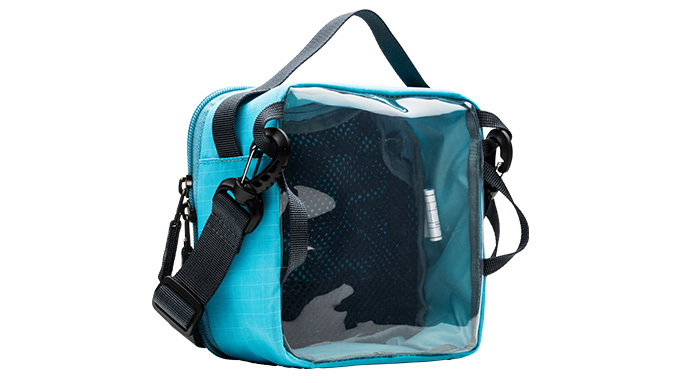 All cases are quickly accessible with their hangable handle and clamshell style opening. The Medium Accessory case works seamlessly with all Shimoda products and is sized to match our other Accessory Cases, Core Units and Skins. They fit into our packs and roller to ensure no space is ever wasted, while allowing for a speedy packing and transition experience. The Large has more depth than the Small and Medium and is deal for larger accessories. It works seamlessly with all Shimoda products and is sized to match our other Accessory Cases, Core Units and Skins. They fit into our packs and roller to ensure no space is ever wasted, while allowing for a speedy packing and transition experience. 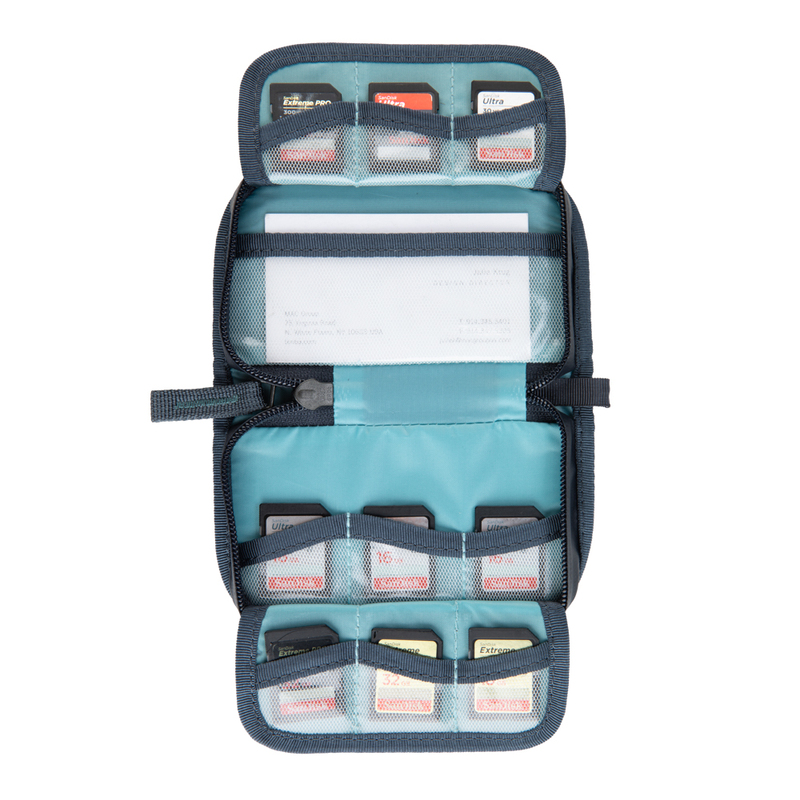 The Shimoda SD Card Wallet was designed to carry, secure and protect your memory cards. It features a padded EVA foam shell to protect from impact and a YKK Splashguard PU-coated zipper to keep water and other unwanted elements from damaging your cards. The wallet carries up to 15 memory cards in clear TPU sleeves. The TPU material helps grip the cards and keep them in place, and a woven mesh reinforcement ensures the sleeve won’t tear. A high-quality clip-in leash helps secure the wallet to your pack or to the belt loop on your pants. 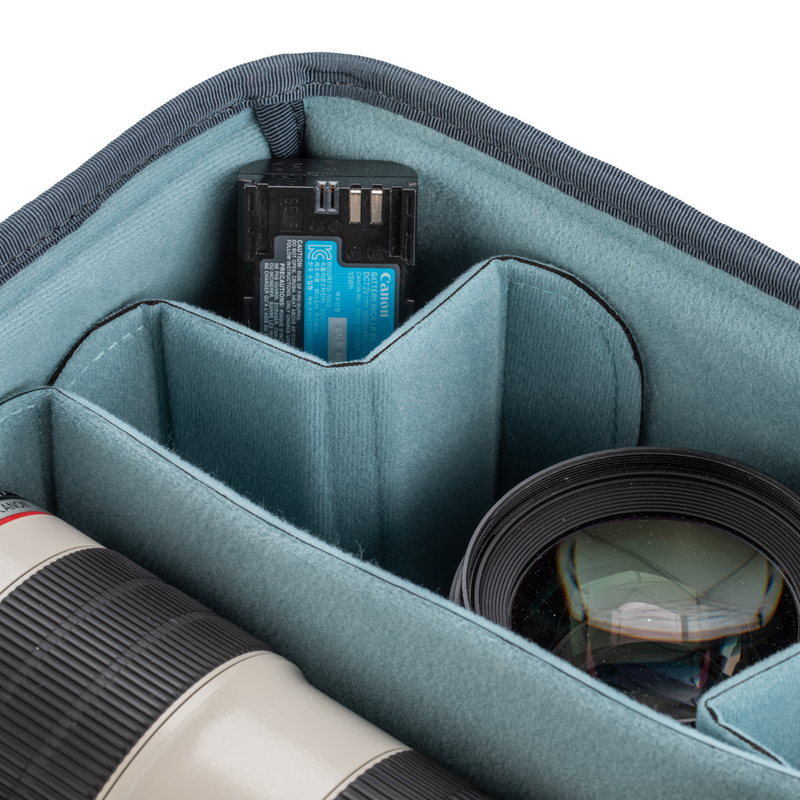 The Shimoda Stuff Sack Kit was created to provide greater organization on your photography adventures. 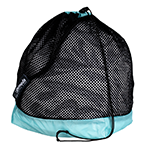 The kit includes three different sized mesh sacks with draw cord closure. 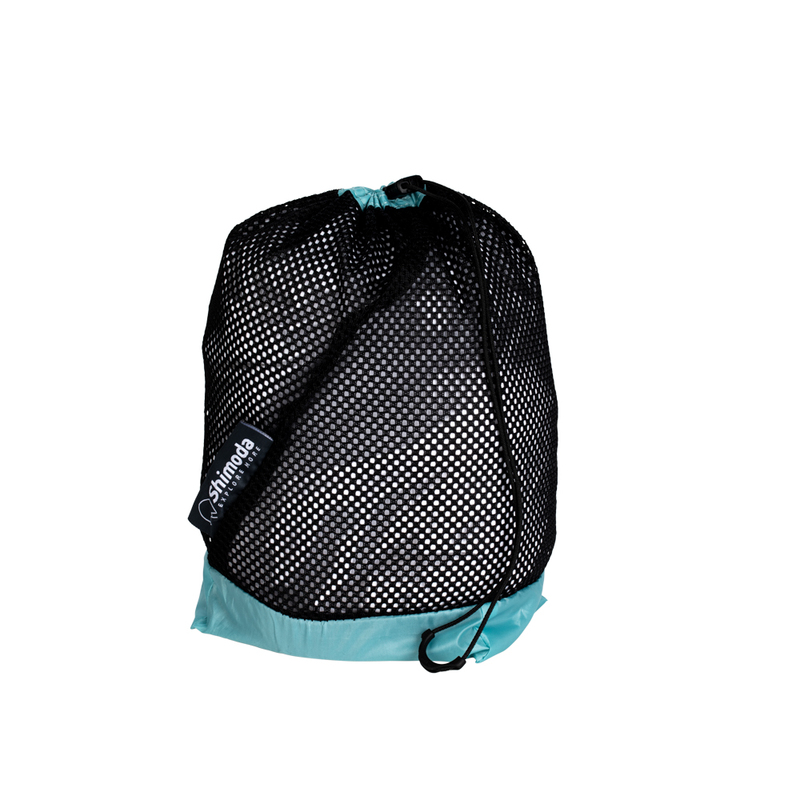 A dual-layered mesh body ensures contents can breathe and that they are easy to identify. The draw cord self-locks and provides quick access. A water resistant base helps protect your stored gear when placed on wet surfaces. The Belt Booster was designed to give photographers a little more room around the waistline while wearing Shimoda backpacks. It provides an extra 27 cm (10.5 inches) of length so a user wearing bulky cold-weather gear and/or those with a larger waistline can comfortably use the hip belt and benefit from the weight distribution of the pack’s internal frame. 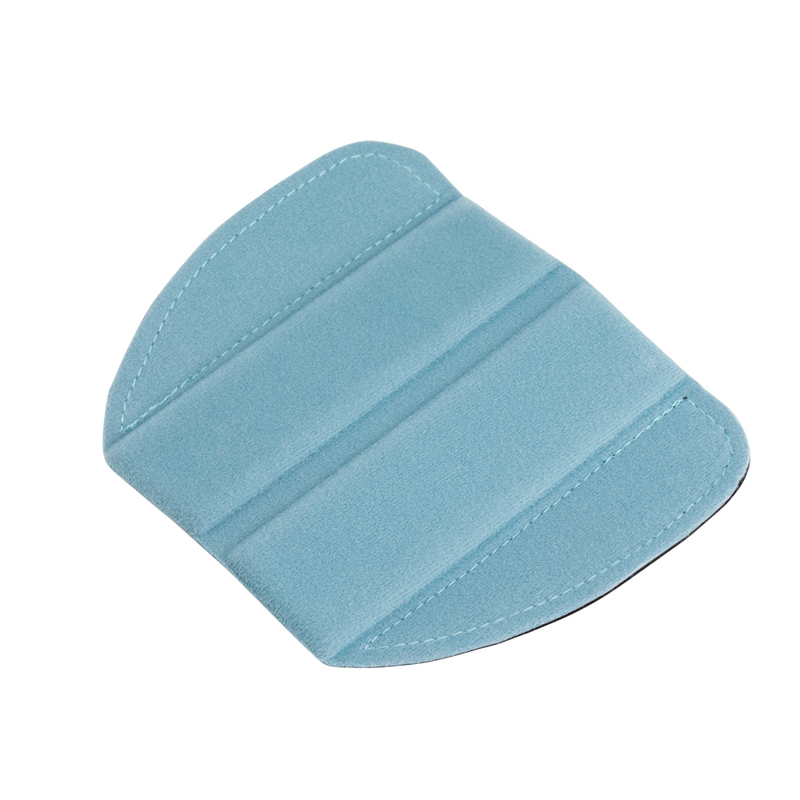 This relieves stress on the shoulders and leads to a more focused outing and greater comfort. 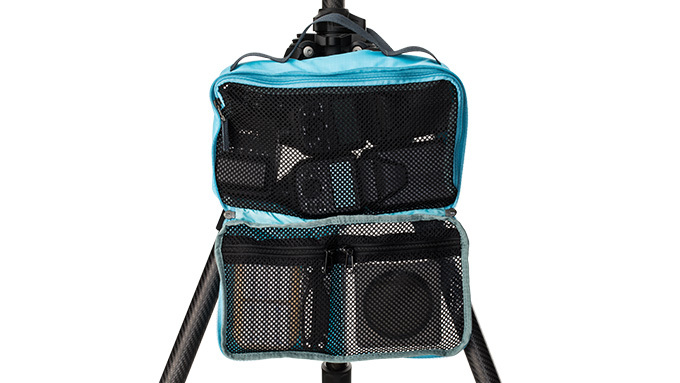 The Divider Kit gives you more options when packing and configuring your Core Unit, allowing greater customization and the ability to handle smaller camera kits. A new Pocket Divider lets you carry batteries and other smaller items securely in the Core Unit. Vertical and horizontal folding dividers help with creating tighter, space-efficient configurations. As with all Shimoda dividers, they fasten to the Core Unit with our exclusive tapered tabs to make the set up process painless. The Accessory Strap Set is perfect for those who need to secure adventure gear to the outside of their backpack. The cam-lock side-release buckle provides extra security and prevents webbing from slipping, keeping your gear fastened down tightly. Each of the two straps extend up to 50 cm (20 in.) in length. Two of these webbing straps come standard with each Shimoda bag, but for users who need to attach more survival gear to their packs, we offer this 2-pack set.